Swap your hidden-blade for a... Switch-blade. Assassin's Creed is coming to the Switch if recent retailer listings are to be believed. Czech retailer Herni-Svet has listed a Switch version of Assassin's Creed III: Liberation Collection with a release date of February 15. This isn't the first listing to pop up either, with a similar page appearing earlier on German retailer Media Markt. 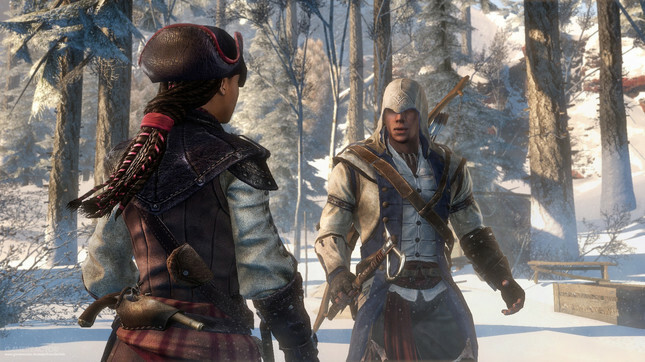 As the title suggests, the game would be a bundle of Assassin's Creed III and Assassin's Creed: Liberation. The former released for all last-gen platforms, while the latter began as an exclusive title for the PlayStation Vita before being remastered for all platforms. Ubisoft refuses to comment on rumours or speculation, but a release like this would make sense, given there's no new Assassin's Creed title confirmed to release this year.